After a successful rookie campaign, Tyler Di Venanzo and RD Racing are moving to the Pro Late Model ranks for the 2019 racing season. In one of the most fun, unique interviews, SHORT TRACK MUSINGS caught up with Tyler, as well as his father Rob Di Venanzo, to get their thoughts going into the year. SHORT TRACK MUSINGS: What are your thoughts entering the season? 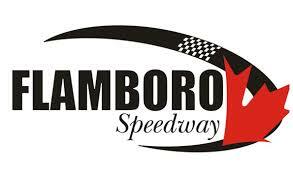 ROB DI VENANZO: I think for us, the Pro Late Models at Flamboro (Speedway) and the APC Series are both going to be really exciting. It’s going to be a big learning curve not just for Tyler, but for our team as well. I haven’t run late models in a lot of years so although the chassis are similar to the mod, it’s going to be a step up for us. But it’s going to be an exciting year. The Pro Late Model tour in Ontario has a lot of cars and yeah, I think it’s going to be a really exciting year for everyone. STM: As a team, What are your goals and expectations? ROB: Just first and foremost, our intentions for this year are to run six or seven of the APC Series races, and then we’re going to run half of the Flamboro bi-weekly program. I think we are going to start with the Flamboro weekly program and then start with the APC Series if Ty is ready with the first race of the year at Sunset (Speedway). TYLER DI VENANZO: Expectations would be for the Flamboro weekly series to finish top-10 in each race, and then APC, finish top-15 and be able to finish the races without getting lapped in the first few races. STM: What’s the biggest takeaway from you from the OSCAAR rookie campaign that you learned that you feel will be a benefit moving forward in your career? TYLER: In the OSCAAR series, there were a lot of great drivers and I feel I was able to run with some of them for a bit of races so hopefully that will be able to help me in the upcoming season in the Pro Lates. ROB: I think the big thing for us last year in the OSCAAR Mods, I think that Ty really gained the respect of OSCAAR and the rest of the drivers in the series, as well. He raced clean all the time. Early in the year when he was getting lapped, he wasn’t in anyone’s way, and I think we learned a lot last year that will carry over into the Pro Late Models for us. STM: You mentioned the strength of the Pro Late Models right now in Ontario. But what are your thoughts on the state of Pro Late Model racing with the class heading into 2019? ROB: I don’t think the Pro Late Model class has ever been stronger. There are so many drivers that are coming into the Pro Late Model ranks this year – a lot of rookies, a lot of experience drivers coming from other series much like our team. I mean, I’ve been around a long time and to get into Pro Late Models is honestly a bit of a dream come true for us. I didn’t expect it would happen this year. So the state of the Pro Late Model division in Ontario is stronger than it’s ever been, and 2019 is going to be a really great year for that class of racers. STM: So Tyler, for you, how did you get started in racing? TYLER: So I got my start in racing seven years ago when my dad bought my first go-kart for me. I ran about six years in that and we were initially going to move into a mini stock. But then an opportunity came up to buy a modified to run in the OSCAAR Series so we just went from there. STM: So in your young career to date, what’s been the most memorable career moment to date for you? TYLER: Probably getting the few wins that I had in my last year of karting, and being able to finish strong in the OSCAAR Series. ROB: I think Jukasa was also a pretty big thing. it’s pretty crazy when you think about it. Ty moved up from karting into the OSCAAR Mod Series and the first race he ever ran was the race at Jukasa. A lot of people said you’re crazy for putting him in the car in the first race at that speedway, and Ty ran good. He didn’t finish last, ran solid all race, stayed out of the way of the leaders when they passed him, and I think that was a really big accomplishment for him last year, as well. STM: On that note, as his father watching him progress, what has it been like for you in seeing that progression and being alongside to offer advice? ROB: I’m pretty proud of the way that he’s progressed. Tyler is a very methodical driver. He doesn’t take a lot of risks and when he does, they’re well-calculated. He’s really smooth; I think that comes from karting. Most of the karters that come up and move into full-size racecars tend to very smooth, and that’s no different with Tyler. He’s extremely smooth. He’s aware of his surroundings. He’s respectful to other drivers, and he’s got a good head on his shoulders. I believe he has a lot of talent. I know the OSCAAR series, Dave Gainforth and the OSCAAR staff were very happy and excited about his progression, and felt he would be a great driver once he gets more seat time; we’re hoping that’s the case. STM: I can say for myself that you could see that progression through the year in gaining speed, and learning more as the year went on. I look forward to seeing how things work out this year as it should be a fun year. ROB: Yeah, we’re looking forward to it. It’s crazy to move up to the Pro Lates, especially the APC Series. To be honest, if Ty isn’t quite ready to do the first race in the APC Series, more likely I’m going to step into the car for that race. But I think the way we have this planned out, he should be ready for it. STM: So in speaking of the APC Series, outside of Flamboro with the focus you have set for there, what track are you both most looking forward to getting to? TYLER: I’m looking forward to going to Jukasa and Delaware Speedway. ROB: Yeah, I know the track (Delaware) from when I used to run CASCAR. But from my standpoint, the Jukasa races are top of the list for me. It’s going to be a tall order to see if we qualify with so many cars, but we are going to make an attempt to qualify for the Canadian Nationals at Jukasa outside of the APC races there. STM: For Tyler, who is your racing hero? TYLER: Probably my dad because he’s taught me so much. He’s never mad at me for where I finish, except for in karting. He’s always working on giving me tips to go faster on the track. ROB: And I think that being said, even when I ran the mod a couple times last year, it was the same thing. Tyler was able to give me tips – my entry points and things like that. Even though I’ve been racing for 30 years, he knows enough now and he’s learning and getting the experience that he was able to tell me a few things to make us go quicker. But Ty’s progression has been really good. We’re really happy with it. STM: Based on the experience that you’ve both gained in your careers, what would you say is one piece of advice that you’d give to that next generation, the next kid that wants to go racing? ROB: I think the biggest thing is don’t rush, especially if they’re young. I mean, we have a lot of young talented drivers out there – Carson Nagy, Treyten Lapcevich; they all started really young. But I think the biggest piece of advice to a youngster is don’t rush it. We always said from Ty’s perspective that I wouldn’t put him in a full-size racecar until he was 16, and that’s exactly what we did. I just think you have to patient, learn as much as you can, and be respectful of the drivers and gain the respect of the other drivers. I think that’s the biggest piece of advice you can get is to work hard, pay attention to what’s going on, and gain the respect of the other drivers.